Apple typically introduces new Watch bands every season, while many of its older designs are discontinued. A total of 14 have been removed from its online store today, and many others are currently unavailable to purchase. All of the removed bands are of the Sport Loop and Sport Band varieties, notes Reddit user ScaniaCB80, who first noticed they were missing. Many Sport Loop and Sport Band options are also sold out, as are some Woven Nylon and Classic Buckle bands. Just four color options are now available to those looking to purchase a Sport Loop band in either 38mm or 42mm sizes. 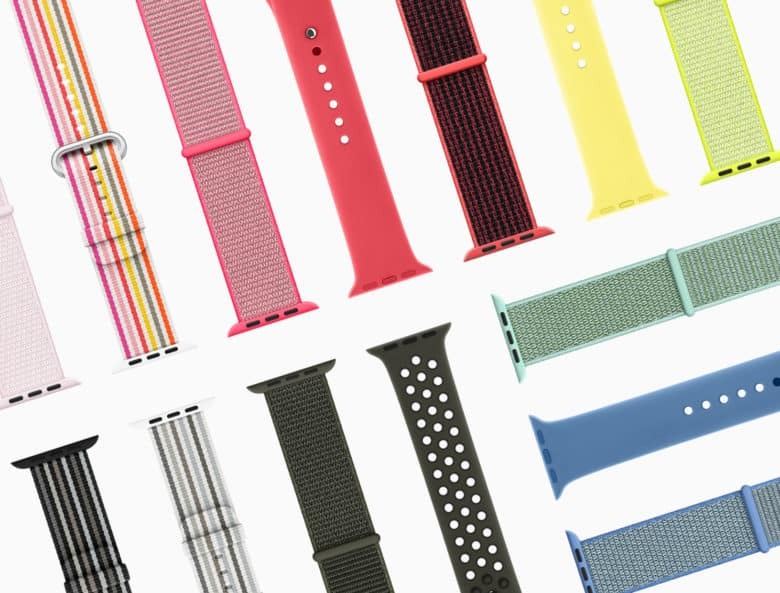 The Sport Band is currently available in eight colors. Apple will likely introduce new bands at its September event alongside Apple Watch Series 4. The device is expected to offer a new design with a larger, edge-to-edge display. Regulatory filings for six new models have already been lodged with the Eurasian Economic Commission, all but confirming a refresh is right around the corner.